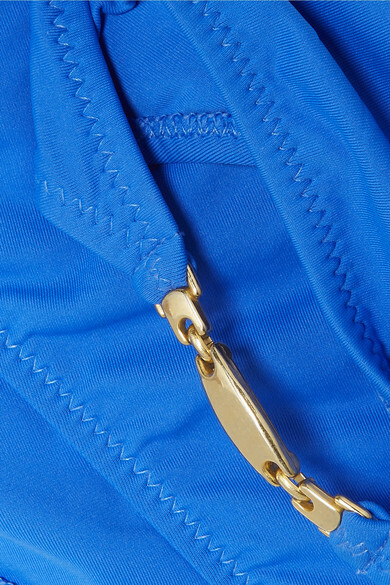 Melissa Odabash's 'Mustique' bikini briefs are embellished with gold-tone hardware at each side that complements the rich cobalt shade beautifully. Team yours with the coordinating bikini top on your next getaway. We also have the swimsuit version if you prefer a little more coverage.